AMD France prematurely published benchmarks of the yet unreleased 2990WX, a 32 core flagship Ryzen CPU. The results look daunting for Intel, as it's highest core count CPU is just 18 cores. Until their 28 core workstation CPU is released in Q4 of this year, it seems AMD will be back on top once again with Ryzen Threadripper. 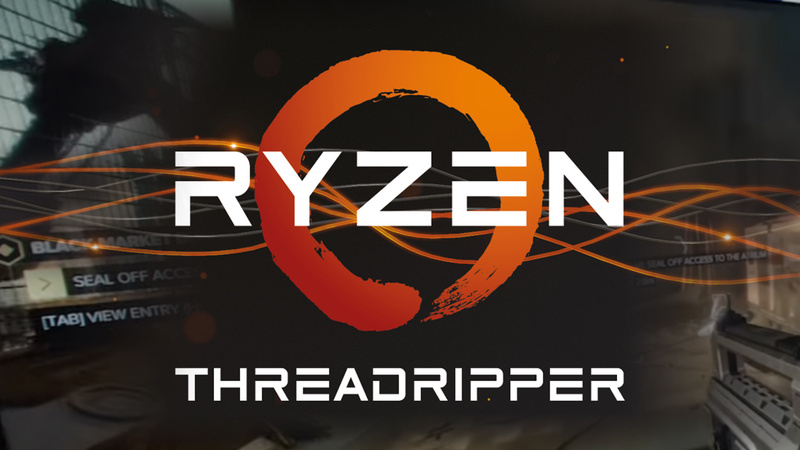 A regular at the PC hardware forum Guru3D recently stumbled upon a product page on AMD France's website for the Threadripper 2990WX, which has not been released yet or even announced. While most of the page was dedicated to promotional materials, advertising, and the kinds of content you would expect on one of AMD's product pages, the most interesting part by far was the footnotes at the bottom of the page, where they stated their benchmark results and methodology. These tests were conducted on June 26 earlier this year, and the 2990WX was tested against the i9-7980XE from Intel, an 18 core workstation CPU that currently is Intel's best in that segment. Each system was given a high end motherboard, 32 GB of DDR4 memory at 3200 MHz, a Samsung 850 Pro SSD (unspecified size), and a GTX 1080. The 2990WX scored 5099 points, a massive 53% lead over the i9 7980XE, which scored 3335 points. Although the new Threadripper CPU has almost double the cores of the i9, clearly not all of those cores are being utilized fully, as the 2990WX only scored 53%. This score does not compare well to Der8auer's recent overclock on the Epyc 7601, which is almost physically identical to the 2990WX; both CPUs have 32 cores, 64 threads, and the new 12nm process the 2990WX is not a significant advancement from the 14nm process the Epyc CPU is based on. At 3.8 GHz on all 32 cores with 64 GB of DDR4 clocked at merely 2666 MHz, the overclocked Epyc CPU scored 6099 points in Cinebench, which is significantly higher than AMD France's scores. However, this Epyc CPU was drawing about 500 watts, an amount far higher than the 2990WX will be drawing. The difference most likely comes down to clock speeds, since the Epyc CPU was about 20% faster running at 3.8 GHz, it might be reasonable to assume that the Threadripper 2990WX was running 3.2 GHz on all cores. The previous generation Threadripper 1950X had 16 cores with an all core turbo of 3.4 GHz. Not a bad trade off considering the core count has doubled. For Intel, its only recourse may be found in their new 28 core CPU which has also not been released. Demoed at Computex, Intel demonstrated the CPU running at 5 GHz on all cores. However, the CPU was using a chiller that could cool well over 1000 watts, which is even more than double the power the overclocked Epyc CPU was drawing. It is unlikely that Intel will be able to easily beat the 2990WX with high clock speeds. Ultimately, Intel will have a very hard time balancing power draw and clock speed when bringing their unreleased 28 core to battle with AMD's 32 core 2990WX.